For Pictures please visit Gallery. 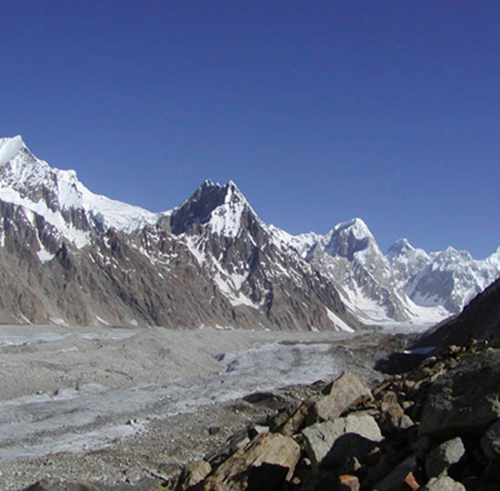 Biafo and Hisper connect two valley, Skardu and Hunza / Nager, this is one of the classic traverses in the heart of Hisper muztagh, it stretch from Askole to Hunza Nager. this trek is 114 km long. 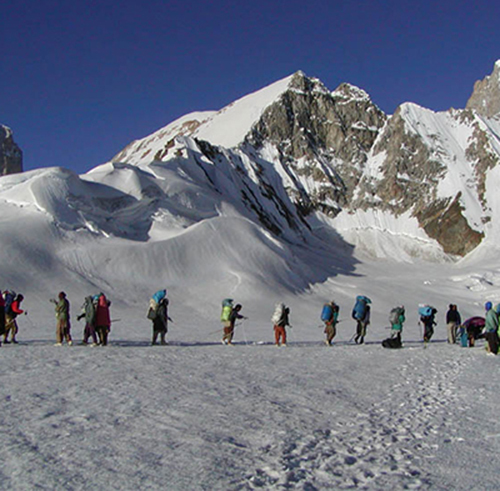 there are two camps which are on the glacier. Francis Younghusband and H W. Tilman called the finest mountain scenery in the world, this pass was crossed frequently in the 14th century by Hunza and Nager people to ply polo in Kesar Shagaran near Askole and in Shigar. 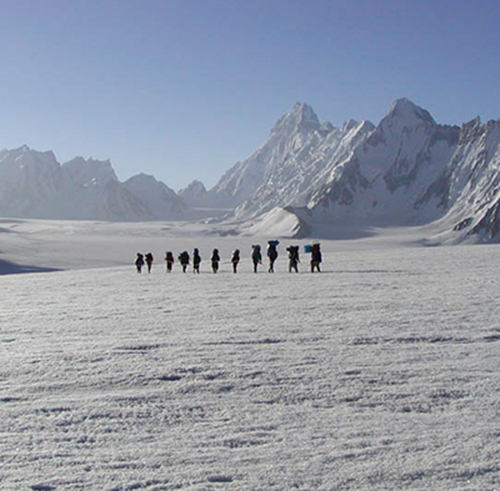 More than a dozen 600-7000m peaks towers above this glacier and the Baintha Brak 7285m is more prominent mountain along the Snwo Lake , and many others. D.1 Arrival to Islamabad transfer to hotel. Sight seeing of Islamabad. D.3 Drive to Skardu 11-12hours along the Indus River. D. 6-7 Trek to Baintha and rest day , option for exploration to Latok valley. D. 9-10 Trek to Hisper La Base Camp the heart of Snow Lake 5-6 hours. Climb the workman peak 5885m. D.11 Trek to Khani Basa over Hispar Pass. D. 15 Rest day , Excursion to Altit and Baltit forts. D. 16-17. Fly to Islamabad or drive.